Without the information on that card, churches will struggle to inviting that anonymous church visitor to take next steps. 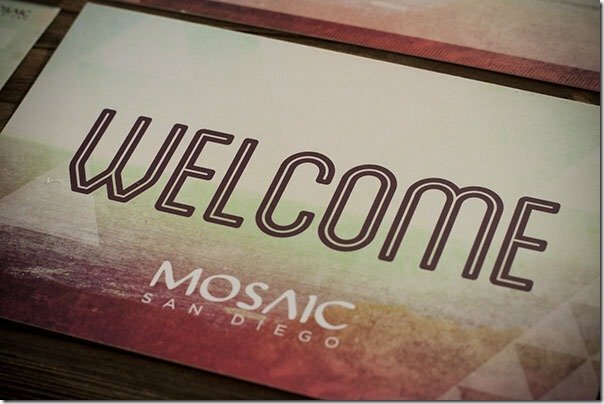 You’ve done the hard work of getting the first time visitor and potential new family to attend your church. It is vitally important to your follow up procress that you capture their information. You don’t want them to simply walk out after service, never to be heard from again. Anecdotally, I see a trend towards simple basics of information, such as name, address, phone number, email, and a growing trend towards a small privacy statement about how the information will be used. The better connection cards have limited fields. I’ve seen complex cards that function as prayer request cards, ministry signup cards, demographic census information, age bracket information, names and ages of children and so forth. In a quest for simplicity, check boxes for all sorts of that data are disappearing. Fewer fields reduces friction to completion. As church visitors begin to return and take more steps to get connected with the church family, more of that data can be collected later. In the quest towards simple forms, I also see a trend to separate formerly complex cards onto multiple single purpose cards. For example, the church we attend makes two cards available. The other trend that I notice is better design. 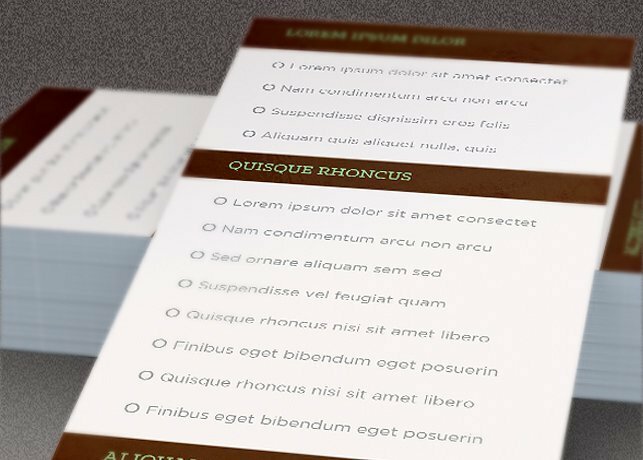 With free stock imagery sites, branding, and free photo editing tools, it’s getting easier for non-designers to design a graphical card and put simple text and fields. I personally use PicMonkey, Canva, and Adobe Spark to work with graphics for images. These tools can be used to create attractive designs. Good design and limited form fields seem to increase a response rate. Every additional field lowers completion rate. 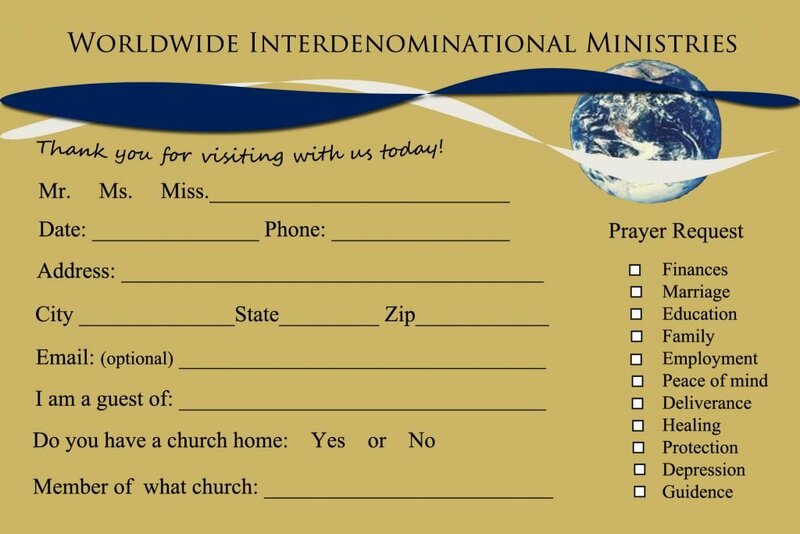 Friendship pads, guest books, visitor sign-in books in the narthex are common alternatives to church connection cards. I suspect (but can’t prove with data) that these methods are not the most effective way of getting your church visitor information. Friendship pads – maybe your visitor doesn’t want to check off the visitor column, fill it out, or identify to all other people in the row that they are a visitor. 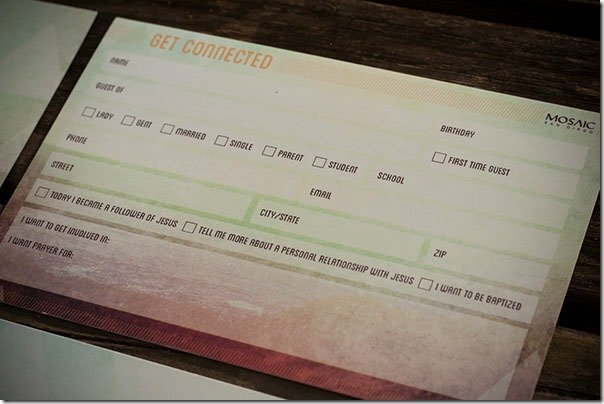 Sign-in books – maybe your first time church guest doesn’t want to take the effort to it. It reminds me of wedding or funeral sign in books, or museum tourist logs. 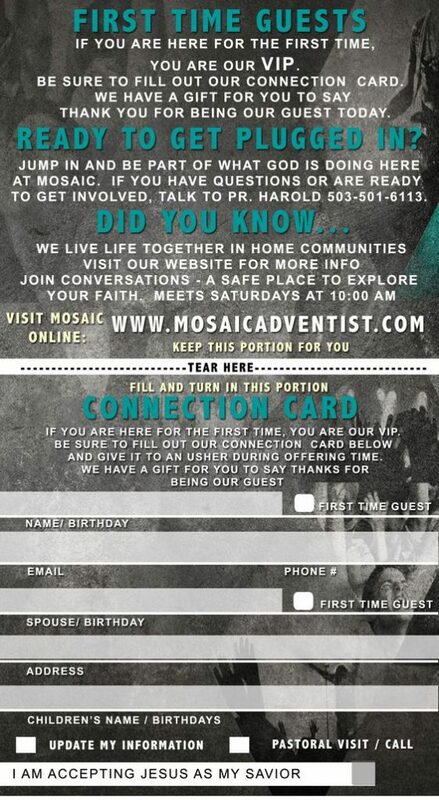 I think that giving your guest a chance to “anonymously” place a card in the offering basket or bucket grants a way to assure your visitor that they won’t be swarmed by people or made to stand up and identify themselves. 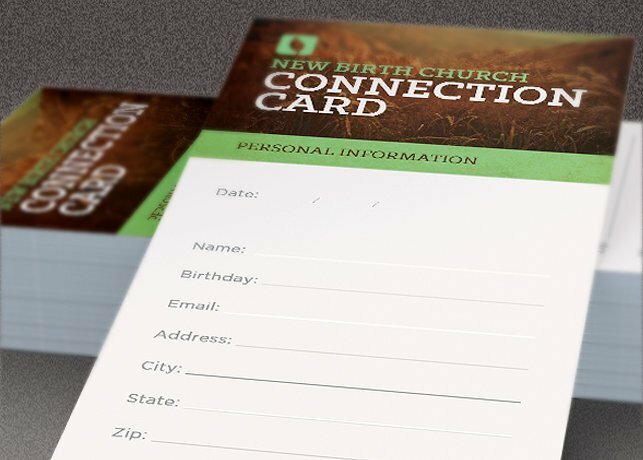 I recently looked into new templates for church connection cards in my search for ideas on good practices on church connection card design. Here are 8 designs I have seen and some rationale on my personal preferences. Let me be clear: these are my personal preferences as I evaluate what I think would be good design tips for church connection cards. Some designs are old and too plain, but I wanted them here as examples of data gathering and something I can think upon. I personally like the color scheme and branding. Some of the check boxes indicate priorities of their church and suggest what the logical next steps are. 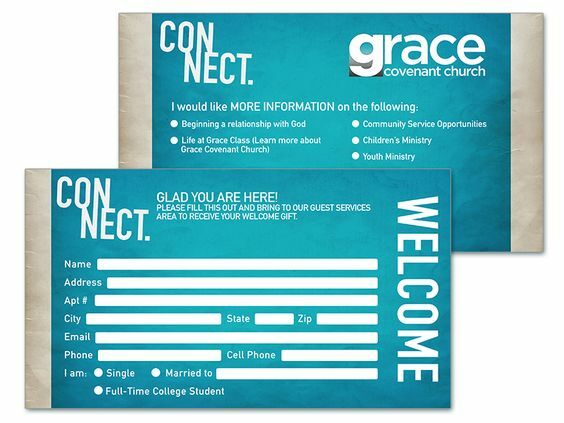 Interestingly, this church connection card appears branded to a sermon series based on the layout for notes and ministry interests. 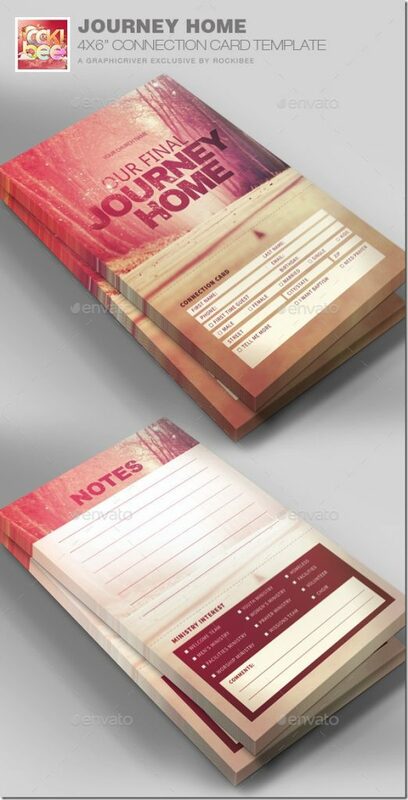 I would personally choose to separate notes to a separate card or make a note sheet available. 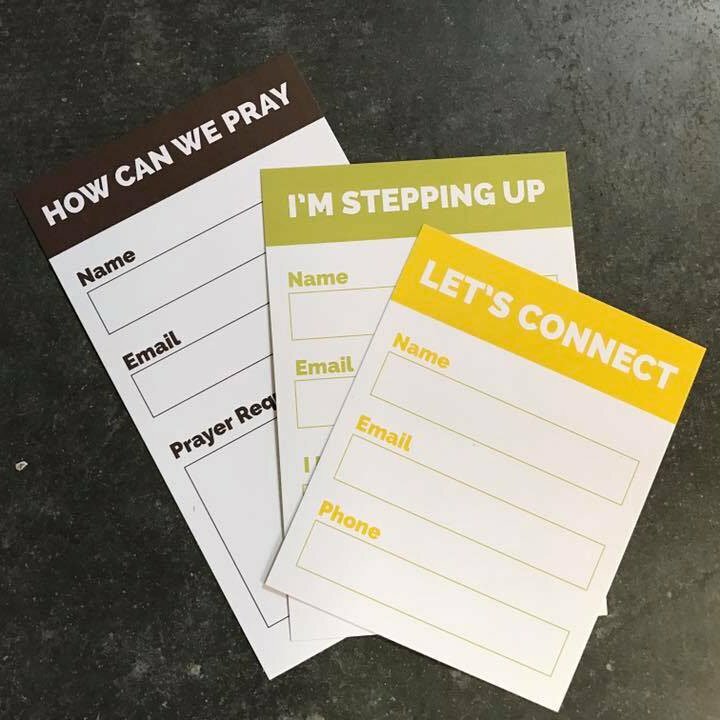 For churches on smaller budgets, redesigning cards to brand with sermon series may become prohibitive. I find this form a little confusing, noisy, and hard to read. I do think the contrast of the blank fields with the background image is a helpful design to show the blanks rather than plain white lines. I would choose to remove much to text above the tear line, or simply remove it all together. The information above the line could be on a separate card, in the visitor welcome packet, or in other places. 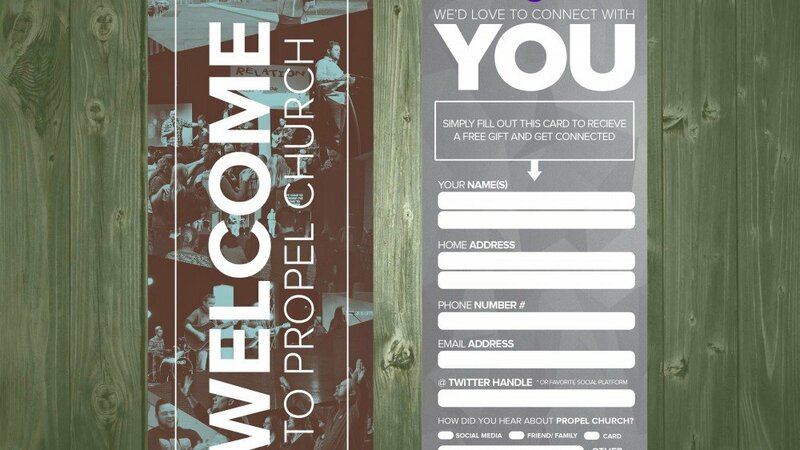 Simple church connection card and prayer request response system. Personally I would choose to remove the guest of and member of spaces. This PSD file is available for you to customize. I like the simple fields and the people pictures on the front cover. This card uses a free gift from the welcome center to encourage completion and turn in. It is available to purchase from the Church Media Resource as a PSD file for you to change as you need. They have several more connection cards to choose from at this link. This PSD File is available for purchase so that you can edit. I would choose to remove birthdate as a field. The back of this card has sample check boxes. Check boxes on the back of a card removes the number of fields on the front. It appears simple on the front, increasingly the likelihood of gathering, but also allows the dual purpose of response indicators on the back side. If you don’t want to have single purpose cards like the sample further up in this article, using the back could be a simple outcome. This PSD file is also available for purchase. Simple form fields on the front, dual purpose check boxes on the back. The contrasting blocks to indicate groupings is a neat layout idea. The white fields on the blue panel give you sense of spaces. I’d remove the broken word Connect (broken into two lines) to give more vertical room to make the blank fields taller. I’m not sure I’d collect marital status at this point. As mentioned, I see a trend towards fewer fields. The question to ask yourself in your redesign: Do you absolutely need that information up front? For example, do you need to know marital status at the first visit? It may have been your practice to ask that marital status so you can decide whether to send them information on singles ministry, college ministry, or various forms of married couples programming. What could you do instead if you could remove that form and collect that data? The trend that I see is to ask those questions later. Use the connection cards to focus on helping your guest take their next step towards your connections group, new member class, first steps class, or whatever you offer as a the singular next step for your guests. At that event, then more data can be collected. There is a growing connection at this point and a greater likelihood of interest in whatever ministries you offer and have presented in your welcome packet. Consider each field after first name and email address or phone number. Can you get that information anywhere else in your process of helping people make friends during their future visits? 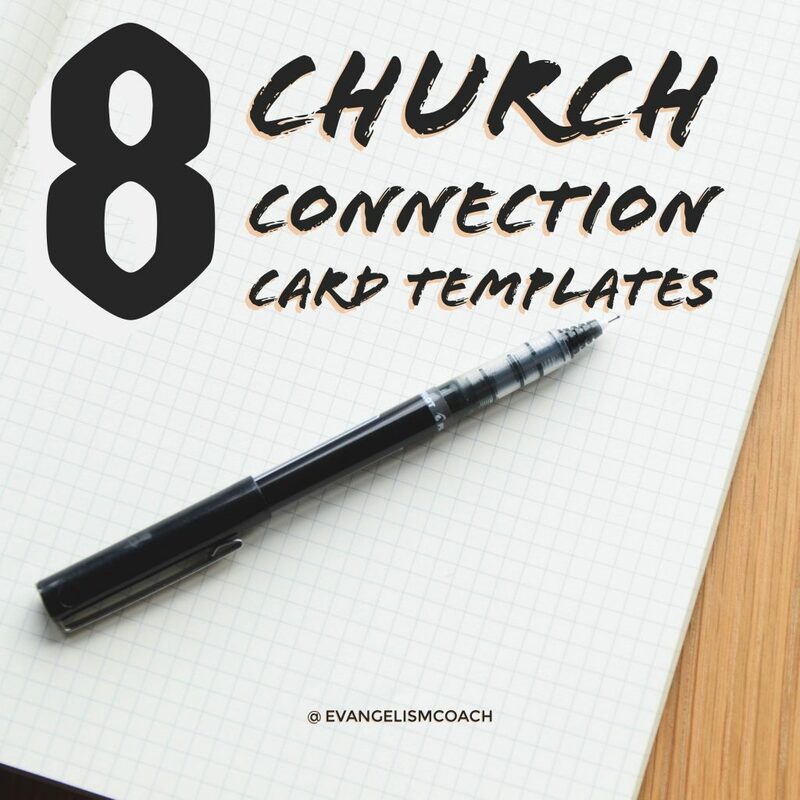 For more church connection card ideas, follow my pinterest board on connection cards. If you want to contribute your own ideas to the board please follow me on pinterest and ask me to invite you. to the board on church connection cards. Dear Evangelism Coach Community, As Communicating Secretary for the Presbyterian Women’s Coordinating Team for Coastal Carolina Presbytery, I will be sharing – through our 6 regional communicators – with the PW Moderators of nearly 185 churches. Why? Because – among other reasons – we, through our Presbytery’s Church Revitalization Committee – had the wonderful opportunity to present Rev. Walker to our members during his two-day Personal Evangelism program in 2015. Also, we all know women are better communicators — not just in the Church. Warm regards and God’s blessings on you all. Thanks for the recommendation. I always enjoy visiting your Presbytery and hope I can do so again soon with a fresh workshop on Hospitality Practices for Any Size church.